Synergy Business Support services was launched in Hertfordshire back in 2012 when I grew my side-line into a full time role of helping small business owners to achieve their aims. Having many years experience of working within small but growing businesses, I understood how important it was to have effective admin systems, to know where to focus your time and the importance of being super organised. I also understood just how time consuming this could all be! So, I saw an opportunity to help small business owners by offering a range of business support services both in person and remotely that could take care of your back office work whilst you concentrate on doing the work that you love. Over the past four years I have seen my own business grow and evolve to provide the perfect professional solution for small businesses, and now work mostly in person with local business women, supporting them in running a more efficient business and having their ideal work/life balance (especially when juggling their home business with family commitments – I know how hard it can be balancing a laptop and a small child on your knee, as my sons were one and three when I started the business). It’s great to know who you will be working with, and here I am! If you are local enough, I am happy to meet you in person and get to know you over a cup of tea or coffee. Occasionally I may bring on board an extra person for particular projects where we may need additional skills, but this will always be someone I know well, usually local to us, and you will always be informed of this. 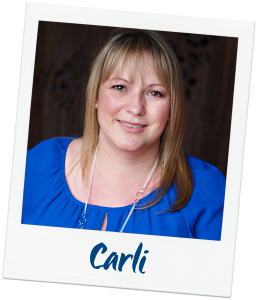 I’m Carli Wall, the owner of Synergy Business Support and take the role of Business Support Specialist, achieving excellent results from the development and support sessions with clients. We will work closely together to really push your business forwards. With 15 years’ experience in a range of industries, involved in all aspects of operating successful small businesses, I have a great understanding of how businesses work and what is needed to grow and improve in all areas. I enjoy helping women in business just like you, to achieve the success or lifestyle you want by making improvements to your business. Having grown my own business around having two young children, I am the right person to show you how you can do it too! Where’s the rest of the team, you may wonder… Well that’s one of the things in my business I’ve refined over time. Having a team of assistants was great, but I wanted to scale back what we offer and go back to the personal service I built my business on. My pleasure comes from helping women like you grow their business, and I want to be hands on and personally responsible for that. While I still have some amazing assistants to call on in busy times, I no longer offer a separate VA service and you can be sure when you book a session you will be working in person with me. I know that to grow your business successfully you need to be free to concentrate on your clients and services. I understand how stressful it can be when you want to attend meetings and networking events but you have an ever growing list of things you think you should be doing…and it seems to be getting bigger every day! This is where I can help… A friendly face who can work closely with you to take a look at how you are working, understand which areas need improvement, come up with an easy to follow plan and provide support and training on how to implement your new systems and processes. I take pride in providing approachable business support services. I am intuitive about your company’s needs and take a holistic look at how you want your ideas to grow. I will also take the time to talk to you about your own working style and come up with a unique approach that suits both you and your business. My aim is to make your business life easier and help your business succeed.